On the Red River, Stoner Boat Launch, Shreveport, a photo by trudeau on Flickr. "The Most fun you will have picking up trash," says George Gehrig. Join the Bayou Chapter of The Ozark Society and Arkansas Canoe Club in cleaning up the Red River on Sat, Nov 16. "Come on out, have fun, pick up trash, eat and win prizes!" Gehrig also likes the idea of asking other communities on the Red to clean up their parts of the waterway on the same day. 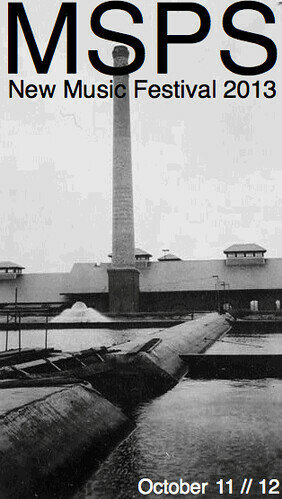 Stoner Boat Launch, Fant Parkway at Stoner Avenue. Paris. 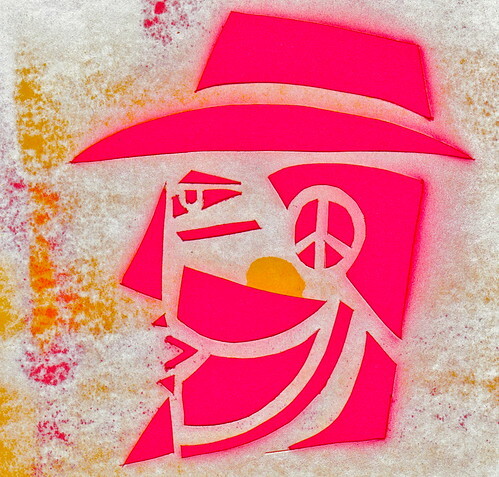 Stencil. Sketch., a photo by trudeau on Flickr. UNSCENE! is a huge event that resets every month and we begin again, says Brandon Oldenburg. 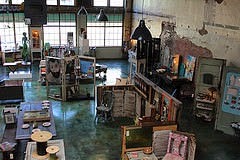 We can't do this on our own; luckily we have artists and artisans from Northwest Louisiana. Below are links to information, art calls, and opportunities so we can find the right artists for each month! UNSCENE! Artist Opportunities tend to be specific to certain months/events. These change on a regular basis so check back often! UNSCENE! Artist Calls can apply to every month UNSCENE! happens. Unlike the postings under Artist Opportunities, these calls have multiple recipients. Artist Calls are reviewed once a month. RCM_09_JenKoh_119, a photo by Robin Mitchell (Glasgow) on Flickr. on sale now, says Lois Robinson. Opening performance is Sat, Sept 21, with soloist Jennifer Koh and the Sibelius Violin Concerto. Other season highlights include a sequel to Movie Masterpieces featuring Moonbot Studios, a 'Wagner & Strauss' evening with Wideman Competition gold medalist Asiya Korepanova and soprano Twyla Robinson, Holiday Pops with soprano Sarah Jane McMahon, trumpeter Bryon Stripling, Mozart's Requiem, guitarist Jason Vieaux, and pianist Simone Dinnerstein. New subscribers get 50% off single ticket prices, starting at $95! Offer expires September 3. Call 318.227.8863. Create-Your-Own packages (4 or 5 concerts) start at $110! Tickets and music at Shreveportsymphony.com. CC Hardmann Art Supplies & Framing, Shreveport, a photo by trudeau on Flickr. Courageous and revealing; through paint, pen and poetry, this Shreveport artist speaks from the heart, says Artspace. Follow Alison Atkins' unique pairing of poetry with expressionist painting on a revealing journey of loss, courage and strength... and affirmation of hope for the future. 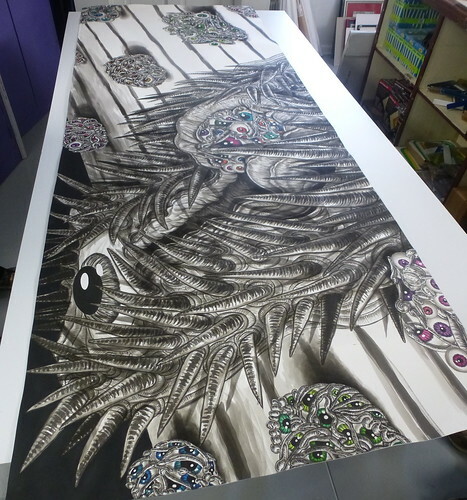 Alison Atkins began winning awards for her art at the age of eight. 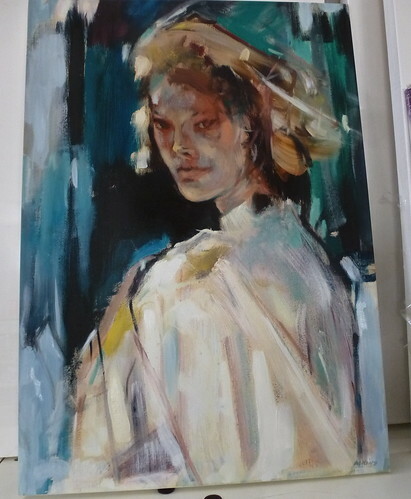 She earned a Bachelor of fine Arts degree from Tulane University in New Orleans, Louisiana and a Master of fine Arts degree from Dominican University in Florence, Italy. Her artistic work has been featured in art exhibitions nationally and internationally, including Washington DC, New York, New Orleans,Philadelphia,Florence,Italy and Paris,France. Tuesday through Friday 10 a.m. to 5 p.m. The Texas Avenue Makers Fair is looking for a new design for our promotional materials, says Kelly McSwain. "We've been using the wonderful design by Nathan Treme for several Makers Fairs and want something fresh! So we're calling on you!" 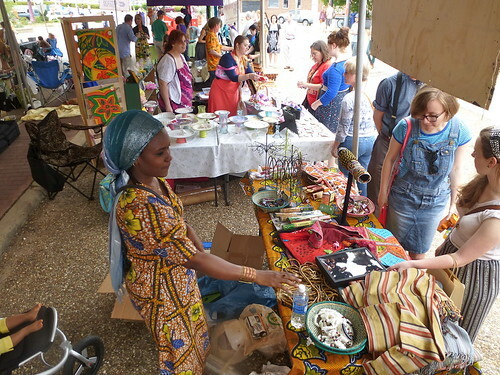 * Must say something along the lines of "The Texas Avenue Community Association presents The Texas Avenue Makers Fair"
Is there a prize you ask? Along with being the logo for all of our promotional materials we are awarding a $150 cash prize! The winning design will be voted on by the board of the Texas Avenue Community Association. Aseana Foundation, Shreveport, a photo by trudeau on Flickr. "Lantern Festival and Night Market." at the Asian Gardens, 800 Texas Avenue (corner Milam Street), Shreveport, Louisiana 71101. Admission is free. A Night Market will be set up on Milam street fronting the garden.This will all be set up amidst colorful lanterns of different shapes and sizes from the many exotic countries of Asia, says Mary Grace de Joya Vea. 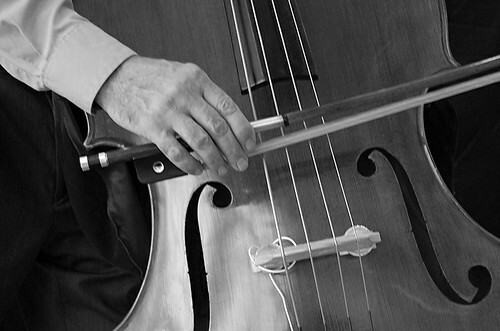 The Keith Horton Project will provide the Jazz Concert at the Garden from 4:00 pm to 7:00 pm. "We are also holding a Lantern Contest open to the public. The contest is open to the public, institutions, schools, churches, clubs and other organizations. Schools are particularly encouraged to participate in the lantern contest. Those who are interested in participating at the festival as Food Vendors, Night Market Vendors and /or Lantern Contest Participants are encouraged to email Mary Grace De Joya-Vea or call at (318) 797-4258 or (318) 401-8078." David Sedaris, a photo by caralynnkleid on Flickr. With sardonic wit and incisive social critiques, David Sedaris has become one of America’s pre-eminent humor writers. The great skill with which he slices through cultural euphemisms and political correctness proves that Sedaris is a master of satire and one of the most observant writers addressing the human condition today, says JadePresents.com. See a David Sedaris performance on Fri, Oct 25, 8 pm, Strand Theater, Shreveport. Tickets on-sale Monday, August 26 at 10 a.m.
Tickets are available at JadePresents.com, the Strand Theatre box office, by calling (318) 226-8555, (800) 313-6373, or at thestrandtheatre.com. 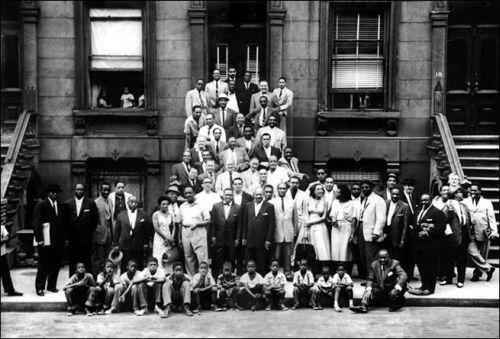 A Great Day in Harlem , a photo by Hiking Life on Flickr. "Marian McPartland, who gave the world an intimate, insider's perspective on one of the most elusive topics in music — jazz improvisation — died of natural causes Tuesday night at her home in Long Island, N.Y. She was 95," said NPR. "For more than 40 years, she hosted Marian McPartland's Piano Jazz, an NPR program pairing conversation and duet performances that reached an audience of millions, connecting with jazz fans and the curious alike. She interviewed practically every major jazz musician of the post-WWII era." SciPort for adults, a photo by trudeau on Flickr. Master Stage Hypnotist Ron Miller will befotch his hypnotic spells and hi-jinks into a mesmerizing presentation while explaining the science behind hypnotism, promises Ann Fumarolo. Tickets, $25, includes one drink and heavy hors d’oeuvres provided by Buffalo Wild Wings. Skip the online fees; call (318) 424-3466 to buy your tickets today by phone, says Karen Frugal Wissing. C. Mark Burt, Shreveport, a photo by trudeau on Flickr. A nine-foot painting, "Spud Mother Loving," plus 21 additional paintings by C. Mark Burt are on display at East Bank Gallery, Bossier City. Sharing the exhibit space is work by artist Lacey Stinson. Join the party for the 2 artists on Sat afternoon, 3 to 6 pm. 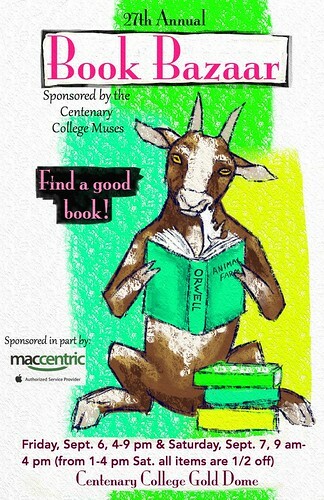 Centenary Book Bazaar Fri, Sat, Sept 6, 7, a photo by trudeau on Flickr. Artists, readers, digerati, funkmeisters and taffeldyers smile at each other across stacks of glorious books, records, tapes, and even more books, all cheap, at the annual Centenary Book Bazaar. Highly recommended for the camaraderie, if not the esoterica. UnScene! SRAC Roster Artist meeting will be held at artspace on Thurs, Aug 22, 4 pm. Coates Bluff / Stoner Hill nature trail exploration, a photo by trudeau on Flickr. 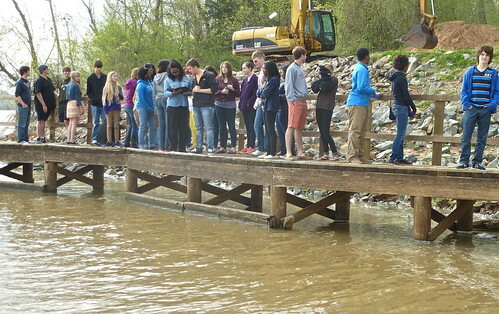 "A Community Built with Commitment to Sustainability" and guided by Cole Guthrie, UL Coleman. This tour will showcase a LEED project and sustainable residential neighborhood that is currently under construction. This is a unique opportunity for area professionals and the public witness a LEED project site during the construction phase, and gain some perspective on LEED education! Sub-Contractors will be on site to discuss the ins and outs of LEED construction process and answer questions. Specific features that will be explored on this tour are: Electric vehicle charging stations, building and site water conservation features, and high performance design features. Don't miss this one of a kind opportunity! 1333 Coates Bluff Drive (Willows at Wright Island), Shreveport, LA 71104. McNeil St Pumping Station New Music Fest Oct 11, 12, 2013, Shreveport, a photo by trudeau on Flickr. Site-specific art from an international gang of musicians, filmmakers and taffeldyers. Invite your coolest friends to Shreveport for this mystical event on Fri, Oct 11, and Sat, Oct 12. Christopher Allen, Shreveport , a photo by trudeau on Flickr. Piano and bass jazz by performed by two highly-seasoned and fairly lean pieces of beef. lfp, a photo by LFP on Flickr. "Marvin hates his job as a birthday clown until a group of incompetent robbers recruit him for their next heist." The first level of entertainment provided by the LFP 2013 lies in reading the synopses of the Top Twenty submissions, as above. Filmmakers from across the country shot shorts in Shreveport/Bossier City area for the chance to win $50,000. The top 20 are screened during the Festival Weekend, Oct 3 - 6. The winner is chosen by festival attendees and a national panel of industry judges. The audience accounts for 50% of the total vote, but you must see all 20 films to cast your ballot. PrintArtspace, a photo by trudeau on Flickr. Print is an exhibit of graphic art at Artspace Shreveport that runs from August 16 through October 12, says Megan Porter. 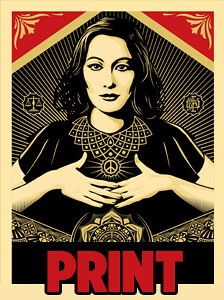 The exhibit features limited edition fine art screen pieces from contemporary street artists such as Shepard Fairey, Cryptik and up-and-coming artists. Opening reception is Fri, Aug 16, from 5 to 8 p.m. Expect cool nibbles, a cash bar and music by the Shreveport-based Americana group Victor Olston for your cover. Be one of the first to try out the Daily Make-&-Take DIY Screen Prints station, built and installed by artist Jeormie Journell. Make a one-color print on brown paper for Free. (Additional t-shirt or shop rag are available for purchase in giftspace.) 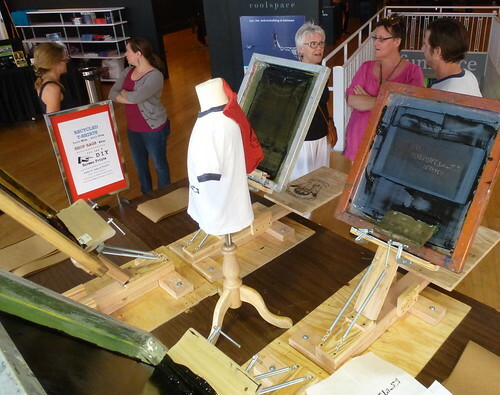 The Daily Make-&-Take DIY Screen Prints station will be available for the duration of the Print exhibition. Return to artspace on Sat, Aug 17, at 6 p.m.for Artist Talk with Richard Duardo as he speaks about current street artists and how they make their art. 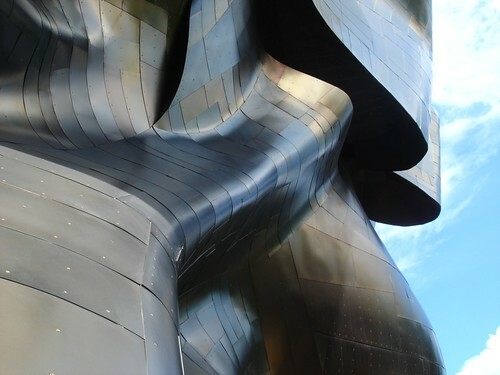 Seattle Center / Experience Music Project, a photo by trudeau on Flickr. "You asked for it, and you got it!" says Team Music Prize. "We are kicking off the Louisiana Film Prize with an amazing mashup of live music, filmmakers, and you! 4-5 bands will compete for $2,500 and a $13,000 recording session with Blade Studios." The Music Prize will take place on Thurs, October 3, Voodoo Café, 8pm-1am. The evening of the Music Prize will consist of 4-5 bands that will be curated by Chris Riemenschneider , the nationally-renowned critic of the Minneapolis Star Tribune. These bands (who will play in the order of a pre-show lottery) will perform one 30-minute set and compete for the Music Prize. This year, the Music Prize judges will be the soon-to-be-famous Top 20 filmmakers of the Louisiana Film Prize. Words Over Lattes on Monday nights, Shreveport, a photo by trudeau on Flickr. "Featuring poetry, live music, & comedy every Monday. 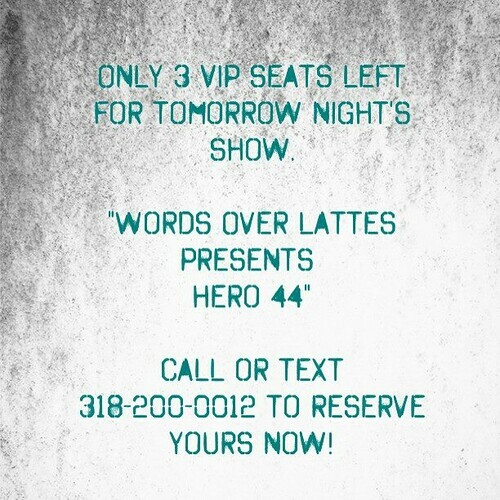 Words Over Lattes is where singles meet, couples spice up date night, friends unite, & talent soars," says Christin Reed. 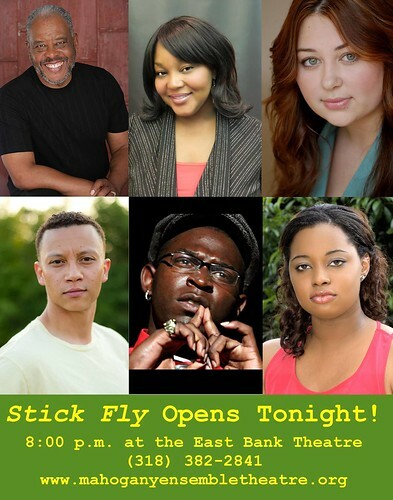 Stick Fly, Mahogany Theater, East Bank Theater, Bossier, a photo by trudeau on Flickr. Angelique Feaster, actress/producer of Mahogany Ensemble Theater, and Robert Alford, director at LSUS, are bringing their audiences a steady stream of comedies and dramas that meditate on the African-American experience. 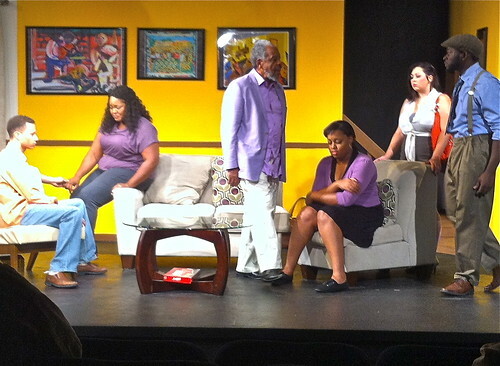 Their presentation of Lydia Diamond's drama on class and race, Stick Fly, on Fri, Aug 9, was stimulating and engrossing. Dialogue and body language was delivered in a meditative flow over a 3 hour span. Anchored by the gravitas of Sy Richardson, a Californian known for his work in feature films (Repo Man, Mystery Train, Dead Man Walking, and almost 100 more), the cast included 3 relatively new actors to the East Bank stage. Kandace Grey was promising - terrific shy smile and low key gestures - as the youngest of the brood. Kermit Burns also had an effectively quiet approach to his role of the maligned son. The role of the favored son was played by the animated Jonathan D Jackson with controlled exultation. His moods and turns of mind were easy to follow as they were played out in his prowling, gesture-filled style. Bringing the veteran's touch to the ensemble was the well-modulated voice and presence of Angelique Feaster. Audra Caitlyn Moss, a veteran of stage, of the web TV series Haints (in its 3rd season) and of movies and dance (Bon Temps Burlesque), added a female gravitas, fitting herself smoothly to the ensemble effort. Director Alford has been following the work of playwright Diamond for several years. This pungent story, performed on Broadway in 2011, has only recently been released for use in community theaters, he said. Performance lovers in NW Louisiana will find much to value in the growth and stimulation found at both www.mahoganyensembletheatre.org as well as LSUS Black Box Theater, Alford's home court. Tempted to become an entrepreneur?, a photo by trudeau on Flickr. Are you a budding entrepreneur? Want to pitch your business concept to investors? Apply for DigiPitch, a featured event of DigiFest South 2013 and Cohab Shreveport, says Rob Gaudet. You must apply for DigiPitch by Aug 30. Selections will be made by Sept 6. The event will be held at the new Cohab location in the Red River District. DigiFest South’s entrepreneur pitch event , DigiPitch, assists entrepreneurs/investors in developing their digital media ideas, connects them with angel investors and guides the implementation of the idea. Phase 1: The DigiFund Committee accepts idea submissions until Aug 30 each year. The committee will vet the submissions and determine the best eligible for the DigiFund program by September 6th. There are not a set number of submissions that will be accepted for the second phase. Phase 2: The selected entrepreneurs will present their pitches live to a panel of investors during DigiFest South on Fri, Sep 20, at the New CoHabitat location. There is NO guarantee of funding. Phase 3: If an idea is selected for funding - the angel investor and advisor team will provide executive assistance in the implementation of the idea based on the investment agreement. The DigiFund event will be an annual event intended at cultivated new Digital Media ideas and technologies. tick Fly at East Bank Theater, a photo by trudeau on Flickr. '“Stick Fly,” a juicy family drama by Lydia R. Diamond, supplies enough simmering conflict, steamy romance and gasp-worthy revelations to satisfy just about anyone,' wrote the NY Times when the "lively comedy-drama" premiered (2011). At the East Bank Theater director Robert Alford has cast the play with seasoned community drama actors Audra Caitlyn Moss and Angelique Fester and the feature film actor Sy Richardson (Repo Man, Dead Man Walking, Larry Crowne, Our Family Wedding, Surviving Christmas, Colors, The Grifters, among some 100 features). August 8, 9 and 10 at 8 p.m.
August 11 at 2 p.m.
Also featuring Kandace Grey, Jonathan Jackson and Kermit Burns. Costume & Lighting Design, Mary “Jorji” Jarzabek. Production Stage Manager, Modeste Golston. Production Associate, Amanda Kreger Deason. 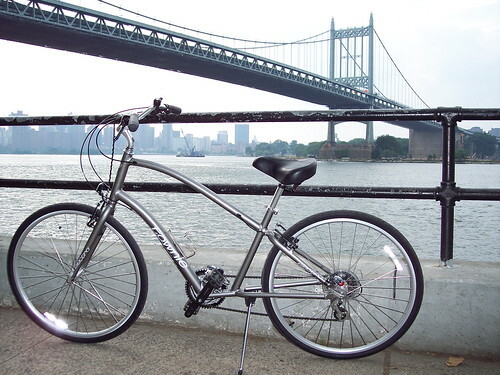 Matt Berg's Electra / Townie 21 in Manhattan, a photo by trudeau on Flickr. Louisiana's Dept Of Transportation and Development (DOTD) is developing a crossing of the Red River at the Jimmie Davis Bridge, LA highway 511, that will provide two 12‐foot travel lanes in each direction - for trucks and autos - with 4‐foot inside shoulders and 8‐foot outside shoulders - for bicycles and pedestrians. 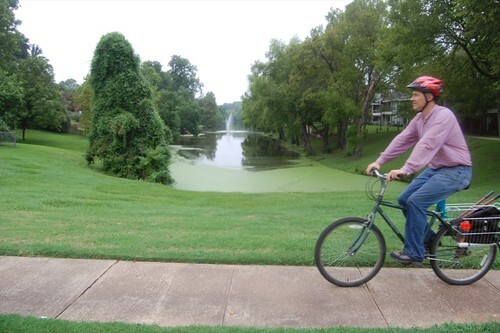 It will be a shared use trail that connects the existing trails in Arthur Ray Teague Parkway and Clyde Fant Parkway. All interested citizens are invited, says Leah Hogan, and encouraged to attend a public meeting public meeting to discuss the Environmental Assessment(EA) for the proposed upgrade to improve the crossing of the Red River. The meeting's on Thurs, Aug 15, 2013, 6:00 p.m.to 8:00 p.m. at Barksdale Baptist Church located at 1714 Jimmie Davis Highway in Bossier City. and to solicit comments from the public. Aug 25 via comments@redriverbridgeea.com and 1‐877‐280‐8774. 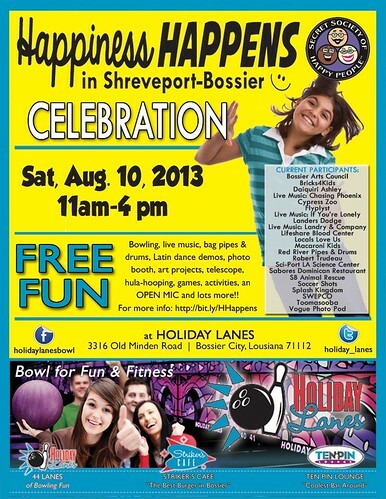 Happiness @ Holiday Lanes, Bossier, on Sat, Aug 10, a photo by trudeau on Flickr. 3:30p‐4:00p Open Mic (close it up with your talent! Hope you drop in to Holiday Lanes to see all the artivity in this light-hearted event. North Louisiana Gay & Lesbian Film Festival, a photo by trudeau on Flickr. Little known fact: Henry Miller Shreve was the first gay fellow to come out in the Red River region, about 1835. People were so impressed by his outrageous bravery that they named the town for him: Shreve Town. The town's first flag was both Biblical and prescient: it was the seven-striped rainbow flag. Garden of Catatonia / LFP, a photo by trudeau on Flickr. 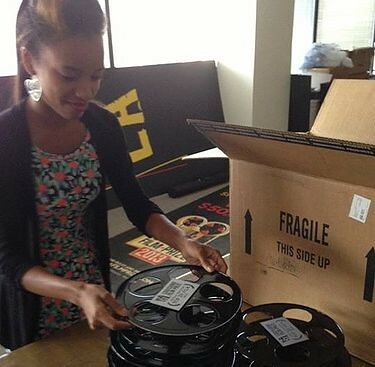 "Join the Louisiana Film Prize crew on Thurs, Aug 15, at 6:30 pm at the Robinson Film Center," says Julia Foley, "as they announce the Top 20 Films selected to compete for the Grand Prize of $50,000 at this year's Film Festival." Open to media at 5:30 pm and to the hoi poloi at 6:00 pm. 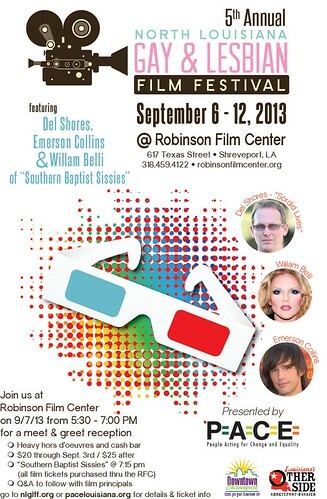 The Louisiana Film Prize will take place October 4 - 6 in Downtown Shreveport. Floyd Grigsby & the 5G Band, Shreveport, a photo by trudeau on Flickr. 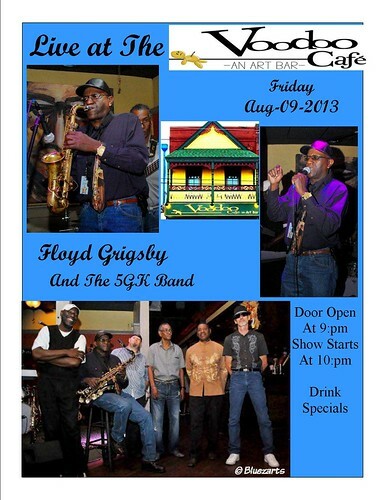 Mister Grigsby is one of the real deals in the Southern Soul Capital of Shreveport-Bossier. Experience says that if you allow his to music to move you and your party to the dance floor there will be few regrets. Dates, Mona's, Shreveport, a photo by trudeau on Flickr. Eid al-Fitr, also called Feast of Breaking the Fast, the Sugar Feast, Bayram (Bajram), the Sweet Festival and the Lesser Eid, is an important religious holiday celebrated by Muslims worldwide that marks the end of Ramadan, the Islamic holy month of fasting (sawm), says Wikipedia. The religious Eid is a single day and Muslims are not permitted to fast that day. The holiday celebrates the conclusion of the 29 or 30 days of dawn-to-sunset fasting during the entire month of Ramadan. The day of Eid, therefore, falls on the first day of the month of Shawwal. This is a day when Muslims around the world show a common goal of unity. Eid al-Fitr 2013, celebrated with gifts and new clothing over a 3-day period, begins in the evening of Wednesday, August 7 and ends in the evening of Thursday, August 8. Dates may vary. John Hoffman, versatile and cool drummer, a photo by trudeau on Flickr. While John Hoffman may best be known for his work in the Stiff-Necked Fools reggae gang, he also does electronic music, classic rock and you name it. "School is back! Now accepting new students for drum lessons. Times available Tues, Wed, and Thurs. Spots are going quickly so inbox or call the number on the sign for inquiries. 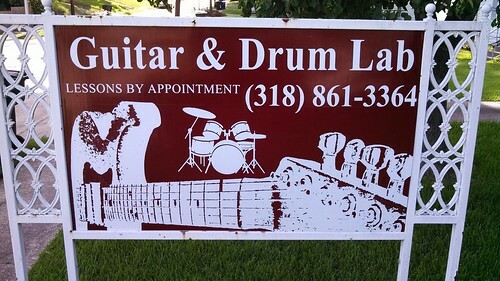 Get your kiddos rockin out on the drums!" says Hoffman. 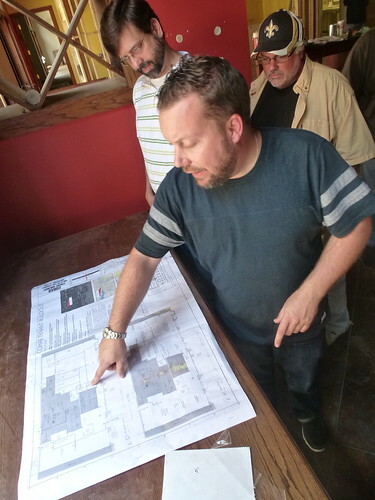 John Grindley, tour of the new CoHab site, Red River District, Shreveport, a photo by trudeau on Flickr. "Cohab needs your help to bring the first shared commercial kitchen to the chefs, bakers, and food artisans of North Louisiana!" says John Grindley. "Have you donated yet?" asks Chris Lyon. "If everyone here gave $100 or gave some and got other to donate to $100 for each of us, we would be over halfway there. Please consider giving a few lunches worth of money to this worthy campaign." UnSceneWalk, a photo by trudeau on Flickr. 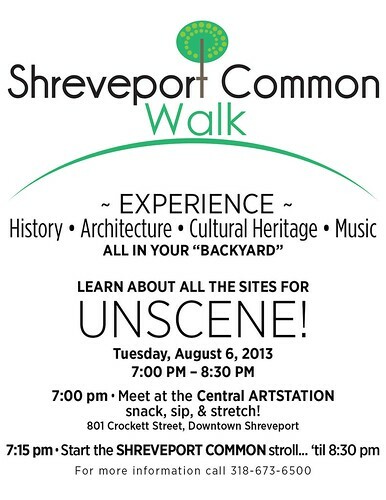 Brandon Oldenburg and other UnScene admins will explore sites in Shreveport Common that are being targeted for the 12-month arts expo called UnScene. But artists who want to be considered for the paid commissions and tasks in UnScene will want to submit credentials as outlined at http://shrevearts.org/artists/. Tues, Aug 6, 7 pm. Clyde Connell. Neil Johnson photo, a photo by trudeau on Flickr. Who gives himself or herself a birthday gift of a visit to a friend? I did. That was the power of Clyde Connell. Clyde was a woman of inspiration to many artists in northwest Louisiana. Named after Scotland’s River Clyde and raised on a plantation just north of Shreveport, she only left this neck of the woods to travel to New York City and other places for the Presbyterian Church and for art. She always returned to evolve her own art and eventually became a homegrown, internationally celebrated, truly original artist. I had heard of her, but I don’t remember meeting her until I was assigned to photograph her as my first post-grad professional magazine photojournalism assignment for the newborn Louisiana Life. That 1981 assignment turned into more than a decade of 40-minute drives out to the Spanish moss-laden cypress trees on the west bank of Lake Bistineau. Having spent my high school and college summers water-skiing down its channels, I always thought of Bistineau as a place for fun escape with my ski-pals. As an adult, the lake took on new meaning as my Clyde Connell destination. Clyde’s home-studio became, over the years, a place of inspiration for a hundred other artists, gallery curators, documentary videographers, art-lover celebrities like Lily Tomlin and even legendary photographer Mary Ellen Mark. In her later years, Clyde did not have to travel to see the world. The world traveled to see her. 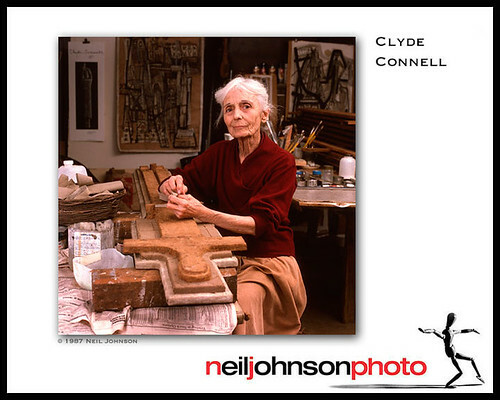 Photography introduced me to Clyde and, after our friendship progressed, photography remained ever present, as it was an important avenue for her art to gain entrance to galleries and publications. Of course, I was not the only photographer who pointed a camera at her or her work, but I took it as a personal duty—and pleasure—to be regular with my medium. I don't remember ever not pulling out my camera bag while out there. But Clyde and her work were not simply photographic subjects for me. She was about spiritual and intellectual and artistic inspiration. To be in her humble home was like meditation. Clyde, her environment, her life and her work were one. She lived her art, which was intensely about and from her immediate rural Louisiana environment combined with her worldview, which went far afield and included many social issues, especially women’s. The best artists come about their work honestly and on their own, without people pushing them in any direction. No one but her own muse sent her down a new, quiet and interesting path, which combined a strong connection to the earth with a love for the deep mysteries of what makes us human. Her techniques and style were her own inventions. She set out to find herself and explore her world and did so intuitively and intrinsically in an creative and prolific career that began well into the second half of her long life. She lived to be 97 and did not stop making art until just before her death in 1998. Several times, when my birthday included a chunk of unscheduled time on a weekday, I would purposely give myself the gift of driving out to Clyde’s to just sit, visit and soak in the atmosphere. These remain several of my favorite birthdays in my memory. We would sit with her in her studio and discuss current world events. On warm days with the AC window unit buzzing, she would enjoy her rocking chair, and on cold days, she would be bundled in a blanket in her easy chair. She was not an “old woman” to me. She was a woman of energy and ideas and intelligence and grace. Many times I moved furniture out of the way in her small sitting room or dining room to transform them into studio space. I documented her sculpture and paintings for more than a decade and was honored to create the images for her Paris exhibit catalog. To prepare for this essay, I went through my whole collection of Clyde portraits and had forgotten how many times she posed for me or allowed me to photograph her while she worked. My camera liked her. 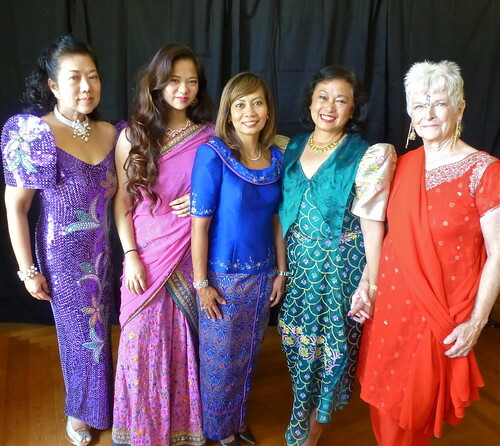 Into her nineties, she retained a special beauty—a beauty that was in her and gathered around her. In searching for just the right Clyde image, I kept coming back to this one, my favorite. She is in her studio working on what I consider to be her most powerful series of sculptures, her “bound women” series. These women are bound and blinded by fabric—fabric made up of misogyny and sexism and many other things that take away a person’s freedom. When I made this photo, Clyde was unbound. She was a free woman. Freed by her art. Again, photography is a time machine. 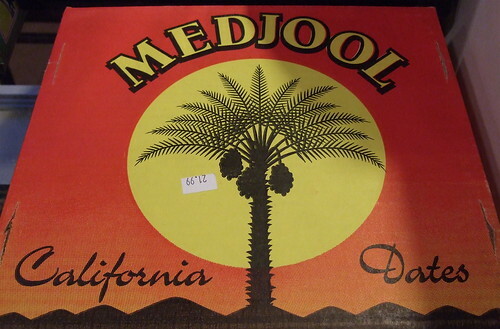 In this case, it whisks me back to the 1980s, back to the shore of Lake Bistineau. To Clyde.